Welcome to ForeCAD Technologies Pvt. 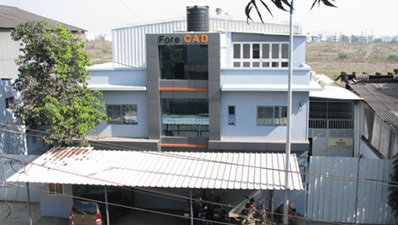 Ltd.
ForeCAD Technologies Pvt. Ltd. is Pune (India) based company offering state of the art engineering solutions and advanced engineering services for Automotive and various Industrial sectors. We offer Turkey Solutions for the BIW (Welding & Inspection Fixtures), Machining Fixtures, SPM & Automation for Automotive & other Engineering sectors. With the changing trends in technologies and the software applications, we have diversified into a wide range of engineering services to meet the client requirements from diverse industries. Our Team consists of qualified and experienced Engineering professionals whose technical expertise work to build you the best. Our customers range from nemerous global Automotive & Engineering companies to early-stage companies that are developing cutting-edge technology products. We have long standing relationship with our customers, built on our sucessfull execution of prior engagements.